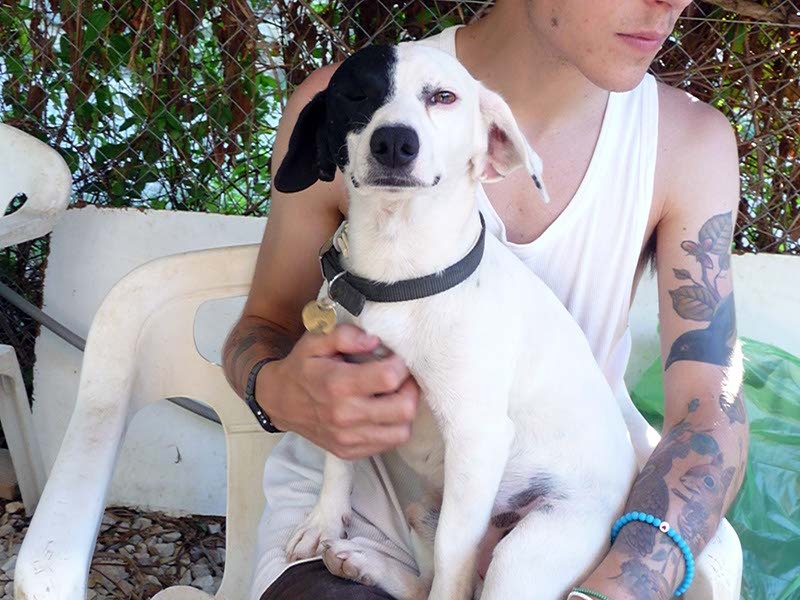 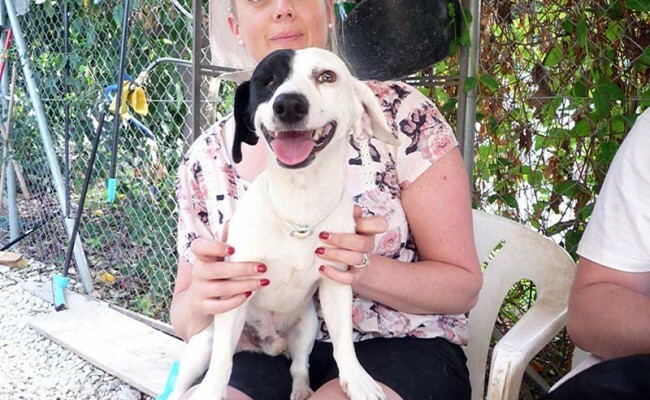 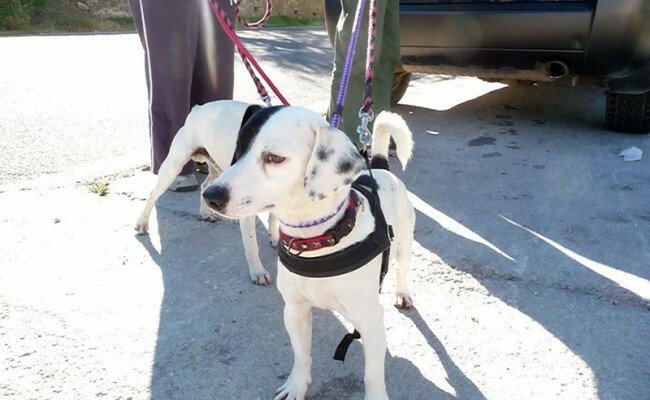 PIRATA is a sweet little boy of approx. 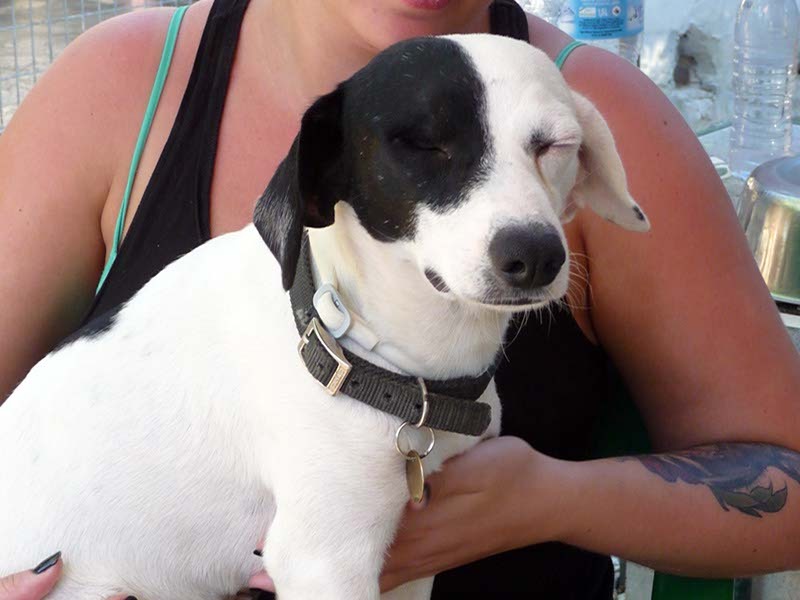 3 years old who was found living rough with another little dog (Maya) who we believe could be his daughter. 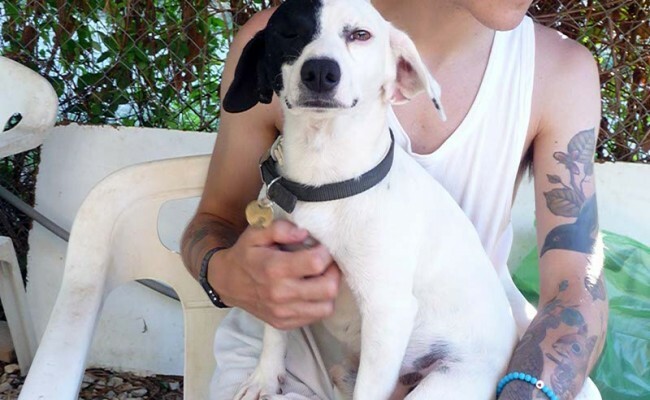 Sadly Pirata (Spanish for Pirate) only has one eye. 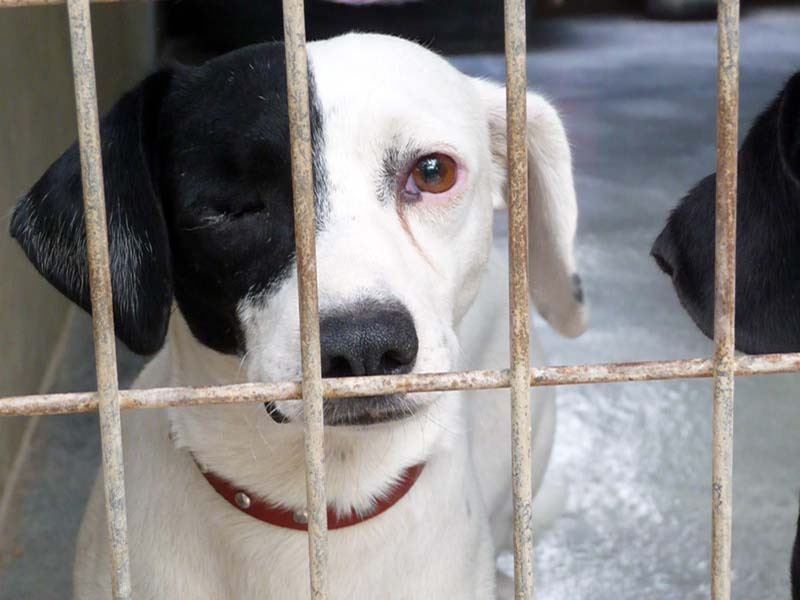 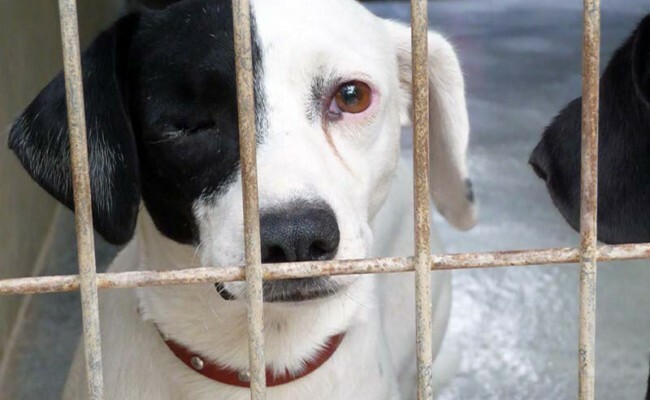 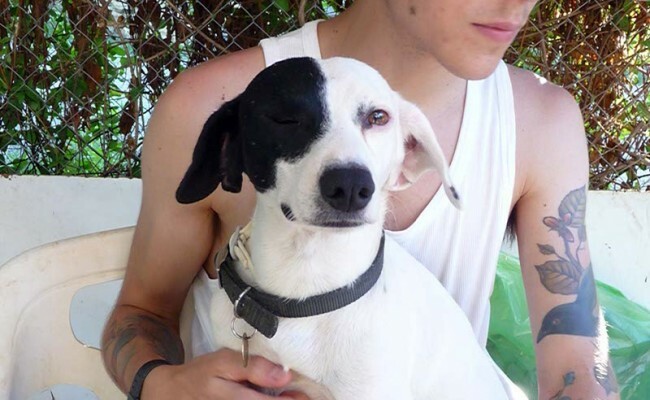 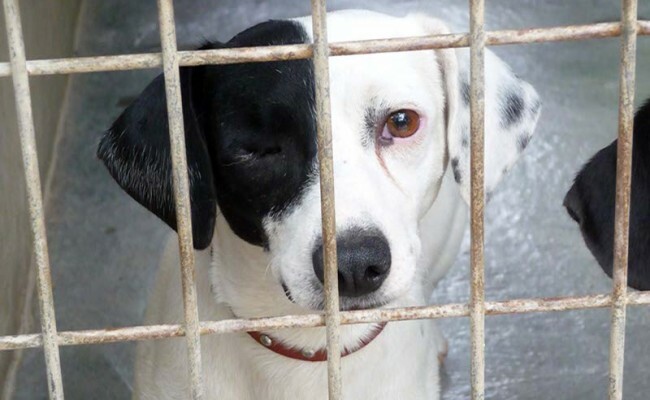 It is not known how he lost the eye, but he must have suffered a great deal of pain as he has not had any veterinary treatment, the eye has been left to heal itself. 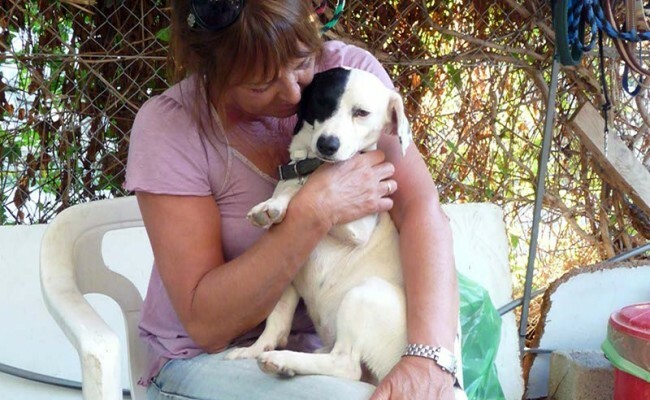 Despite his suffering he has a fantastic nature and gets on brilliantly with all the other dogs. 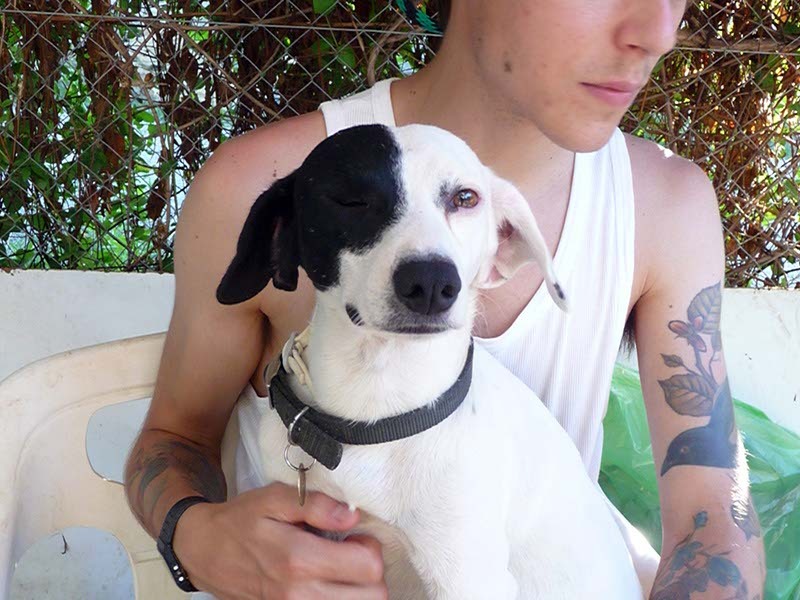 He is very affectionate and also very obedient and willing to please. 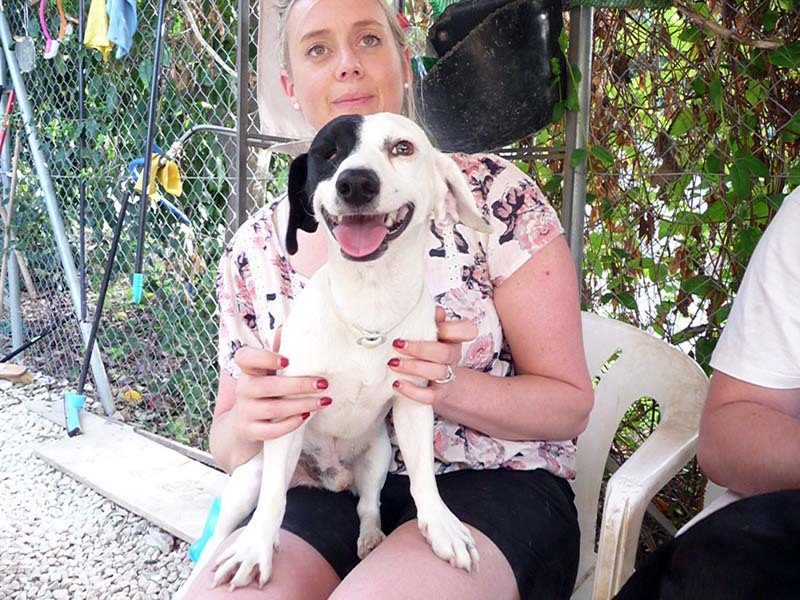 He lived on some rough ground with a lot of feral cats and we have also taken him to meet cats to be sure he could live with them. 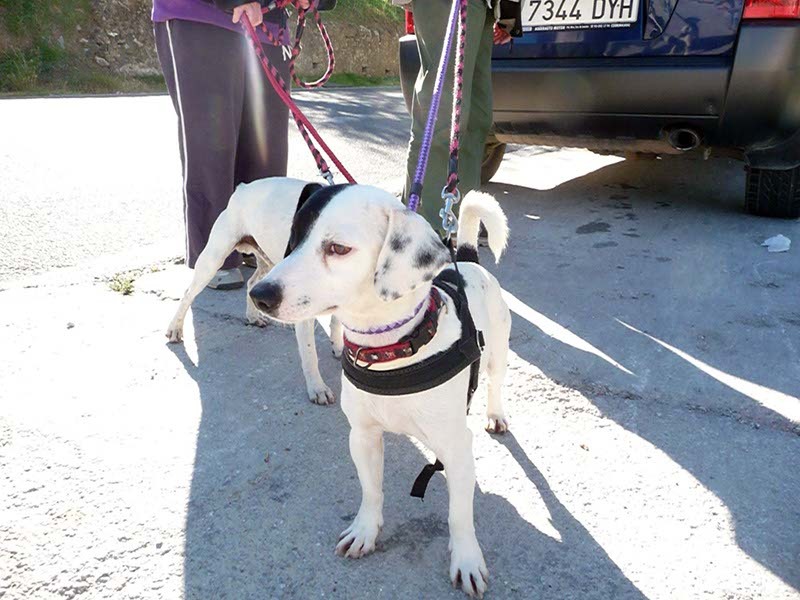 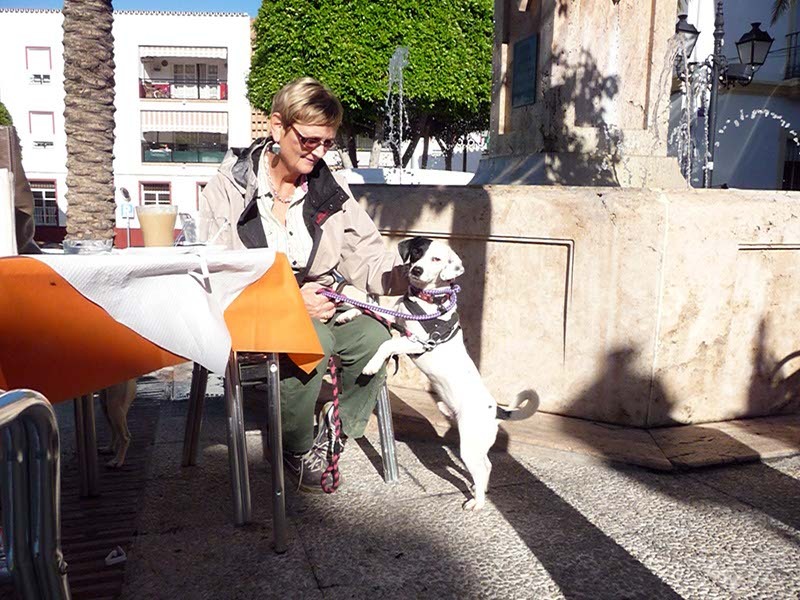 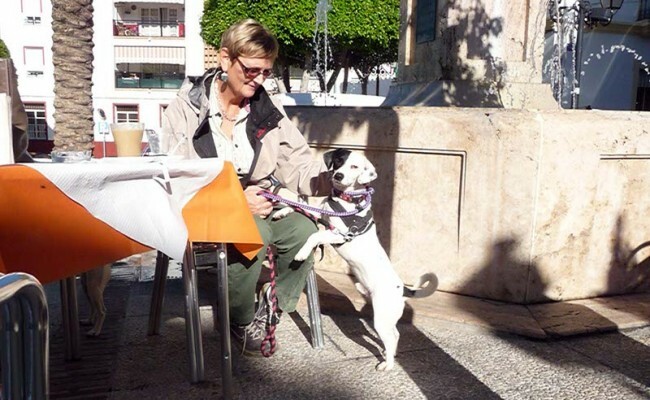 We took Pirata to the village for socialising and he excelled himself – he travelled well in the car and liked to look out to see where he was going, he walked beautifully on the lead and held his head high as if he was in a show ring– he has a real presence and is quite a show off. 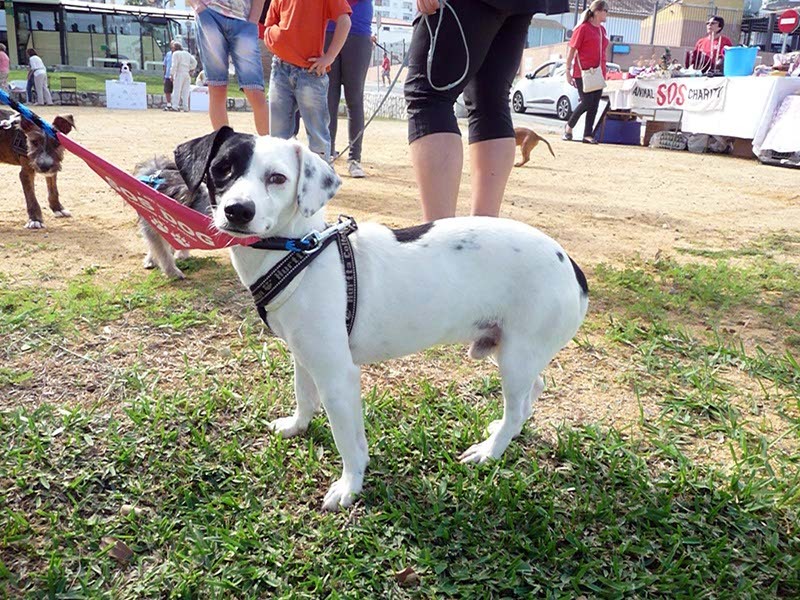 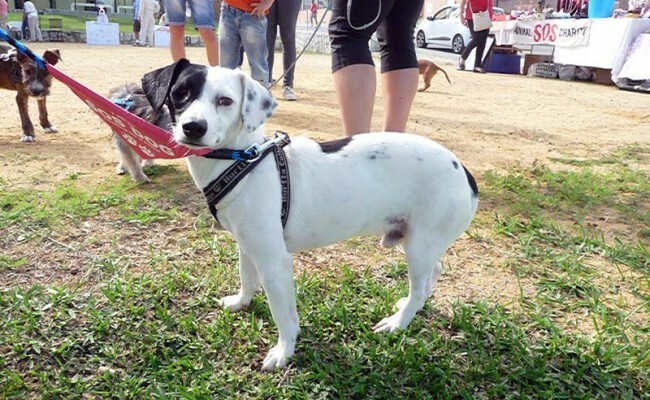 He met lots of people, cars, motorbikes, cats and other dogs and was not at all nervous or worried by anything. 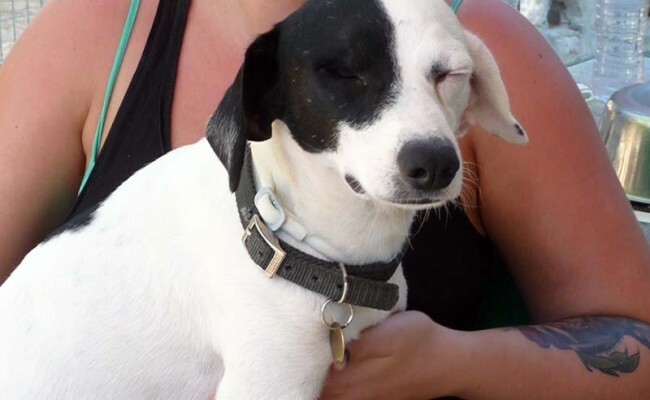 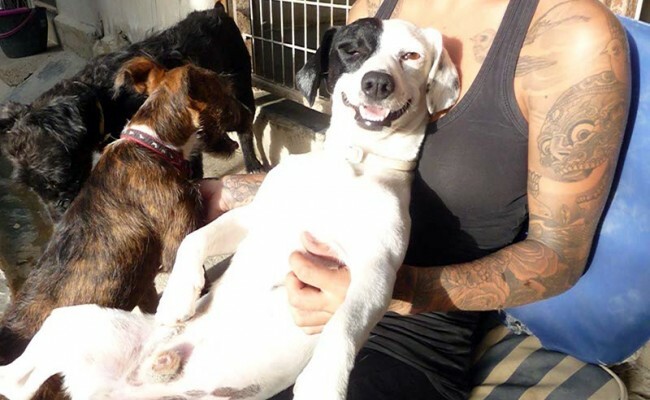 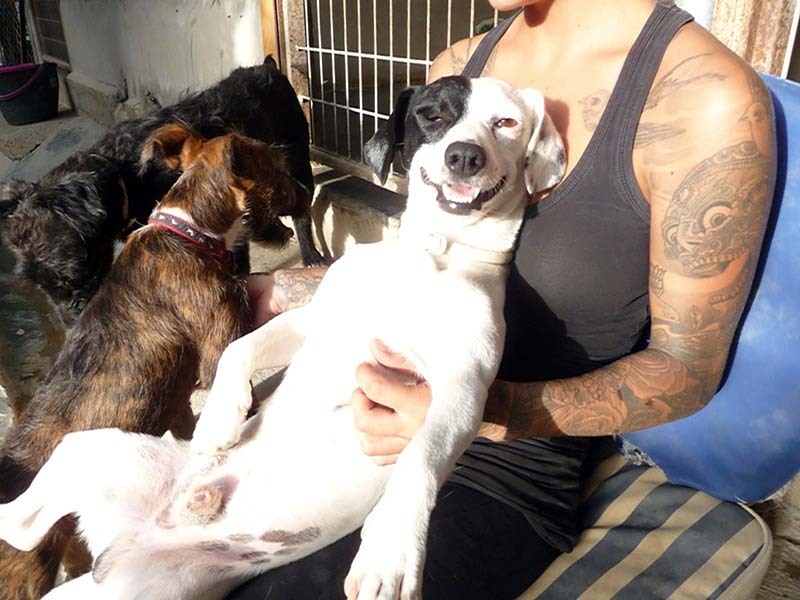 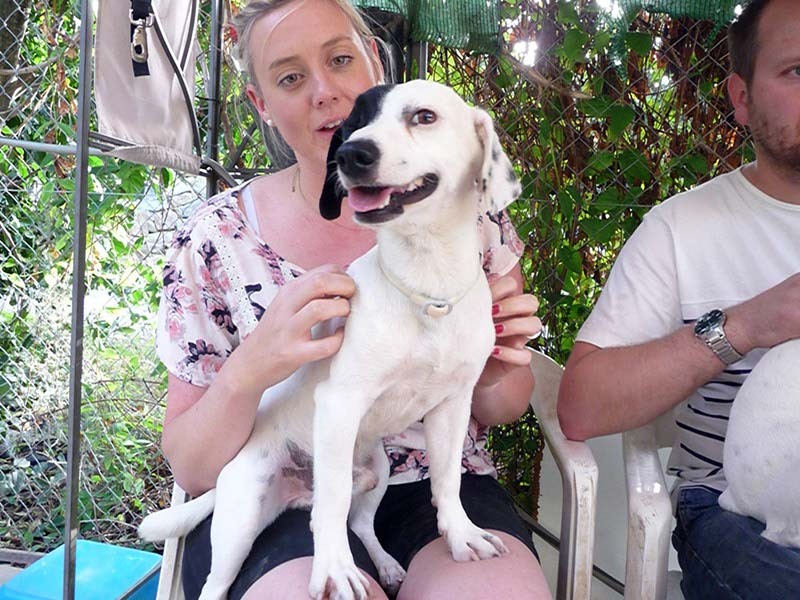 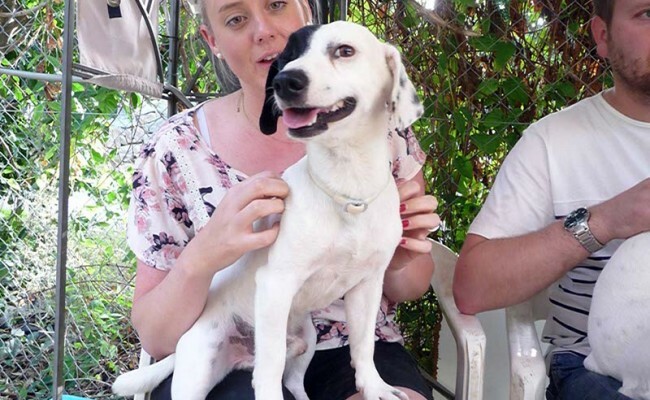 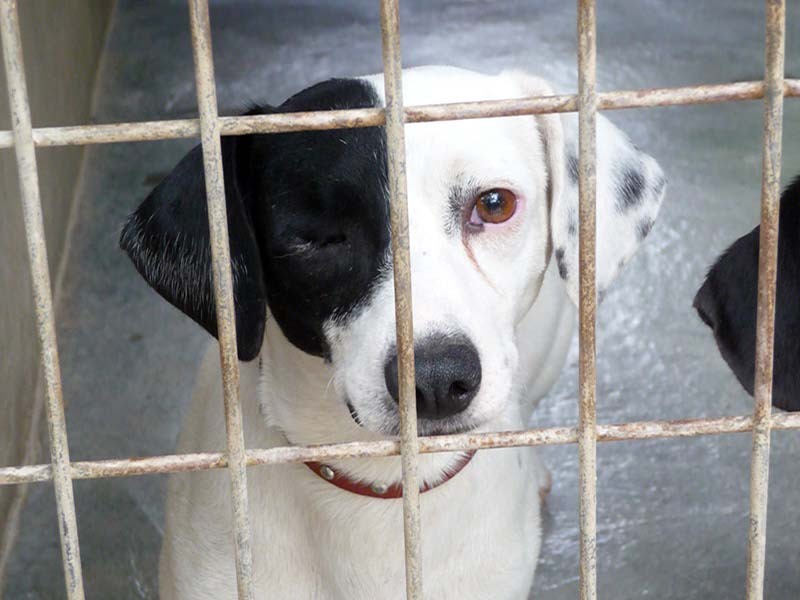 Pirata is truly a delightful little dog who would fit into almost any home either with or without another dog.